Online gift-giving is spreading in social networks and causing people to give more gifts — online and in person — according to a new study led by René Kizilcec, Cornell University assistant professor of information science. About half of these gifts were unlikely to have occurred offline or via another online channel. “Gift-giving is a fundamental part of human relationships, and technology is changing how it occurs: Social networking sites create greater awareness for gift-worthy occasions like birthdays, and gifts can be given last minute and over long distances. Digital traces of online gift exchanges are lifting the veil off these acts of generosity and inspire people to give more,” Kizilcec said. The paper, “Social Influence and Reciprocity in Online Gift Giving,” co-authored with Dean Eckles of the Massachusetts Institute of Technology, and Eytan Bakshy and Moira Burke of Facebook, will be published in the Proceedings of the SIGCHI Conference on Human Factors in Computing Systems. In the study, Kizilcec and his colleagues analyzed online gift-giving behavior on Facebook among U.S. adults during 2013. During that time, Facebook reminded users of their friends’ birthdays and provided the option of sending an online gift — like a $15 Starbucks gift card — through the platform. The researchers complemented this data with surveys to get additional context. The study found that when a person received a gift on Facebook for their birthday, they were then 56 percent more likely to also give an online gift through Facebook. This meant that approximately a third of all gifts given on Facebook after people’s birthdays were inspired by receiving a gift in the first place. He noted that Facebook gifts were replacements for offline gifts about half the time. “We found that 58 percent of givers said they would still have given that person a gift without Facebook, but 42 percent reported that it would have been more difficult. This indicates that some Facebook gifts were substitutes for gifts given through other channels, while other Facebook gifts were incremental, this is, they would not have occurred otherwise,” he said. Although technology may be changing how gifts are given, “the societal norms and practices transcend the gap between digital and in-person giving,” Kizilcec said. 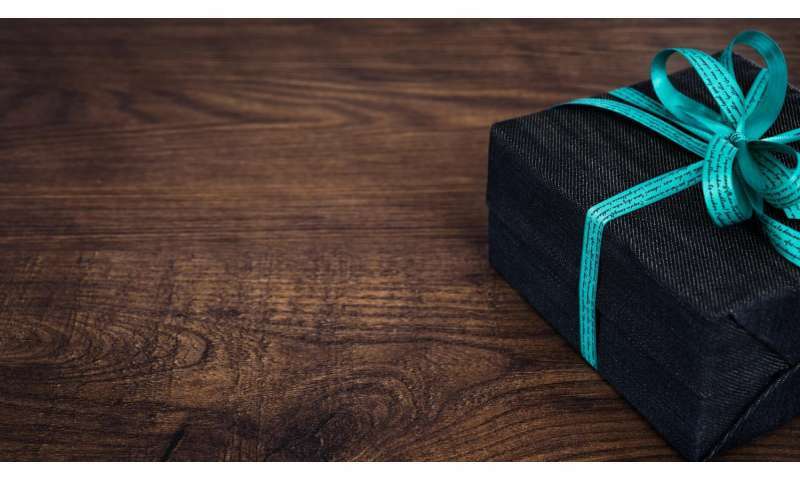 “This study reveals that people rapidly internalize social norms about online gift-giving. Those who saw their friends exchange gifts were more likely to consider online giving ‘normal’ than those who learned about online gifts through other means.